When it comes to desert shrubs, the Ocotillo is in a class by itself. It is one of the easiest plants to identify in the desert and, in my estimation, one of the most beautiful. 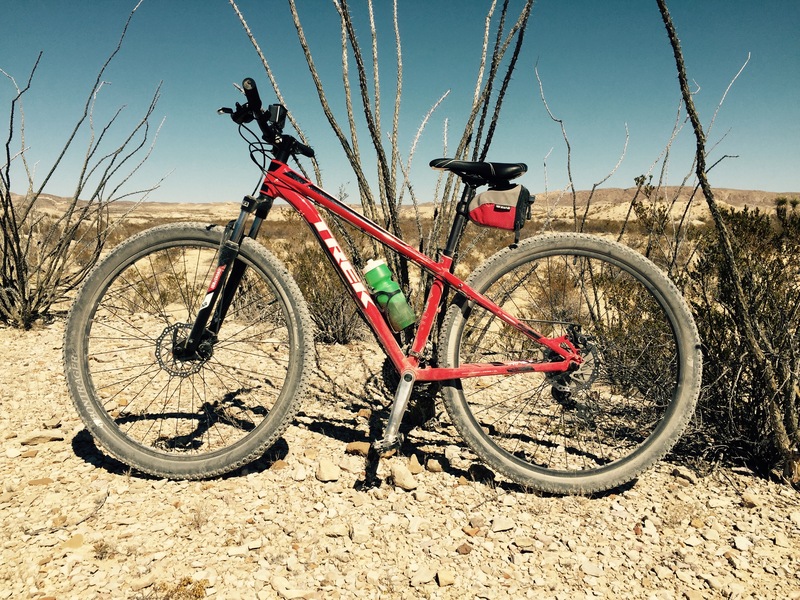 Whether I am hiking or biking down a desert trail, I love how the Ocotillo accents a desert landscape. 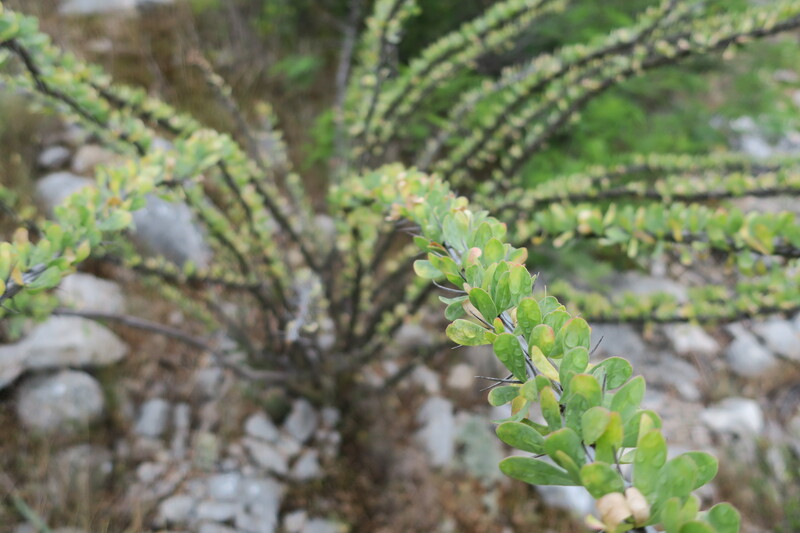 Here are five interesting facts about this hardy desert shrub. 1. The Ocotillo is at home on the range. The beautiful Ocotillo is at home in the harsh environment of the Chihuahuan Desert. This is one hardy shrub that can handle the wide temperature ranges of the desert and requires little water to survive. The Ocotillo is not some sissy plant that requires pampering. It prefers a rocky and well-drained habitat, the kind of environment that intimidates other plants. And, make no mistake about it, whenever you see a brown and leafless Ocotillo, it is still very much alive. 2. The Ocotillo is not a cactus. 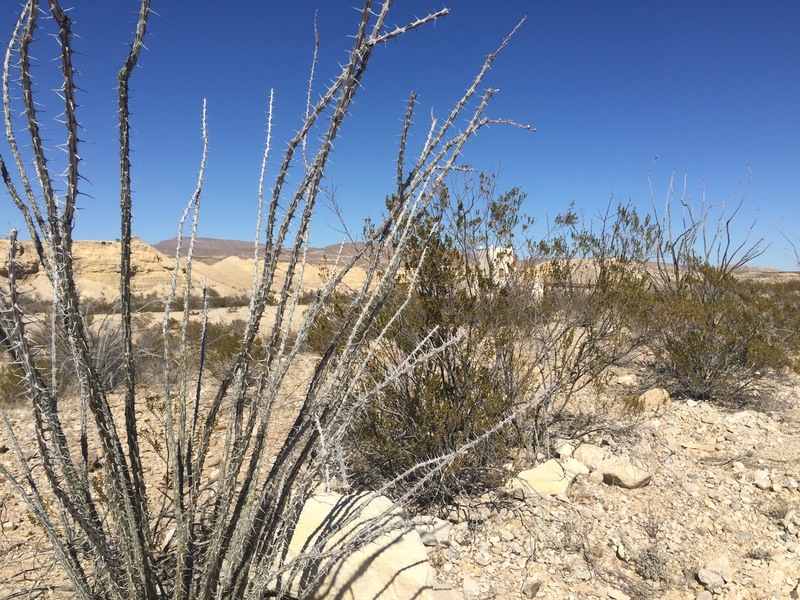 The Ocotillo is also known by many different names including Candlewood, Slimwood, Coachwhip, Flaming Sword, and Jacob’s Staff — all names that take their cue from some physical characteristic of this spiny-stemmed shrub. Vine Cactus is also an alias for the Ocotillo, although it is not a cactus. 3. The Ocotillo has a long lifespan. Folks are not exactly sure about how long Ocotillo can live. Some believe that a good estimate is 60 years. Some studies, however, indicate that this tough shrub can live well beyond a hundred years. One reason the Ocotillo can live so long is because it has few pests and no known diseases. 4. The Ocotillo is a flowering plant. The whip-like branches of the Ocotillo can grow as high as twenty feet or more. After a rain these slender branches are covered with small green leaves that resemble those of the boxwood. When water is scarce, these leaves turn brown and fall off. 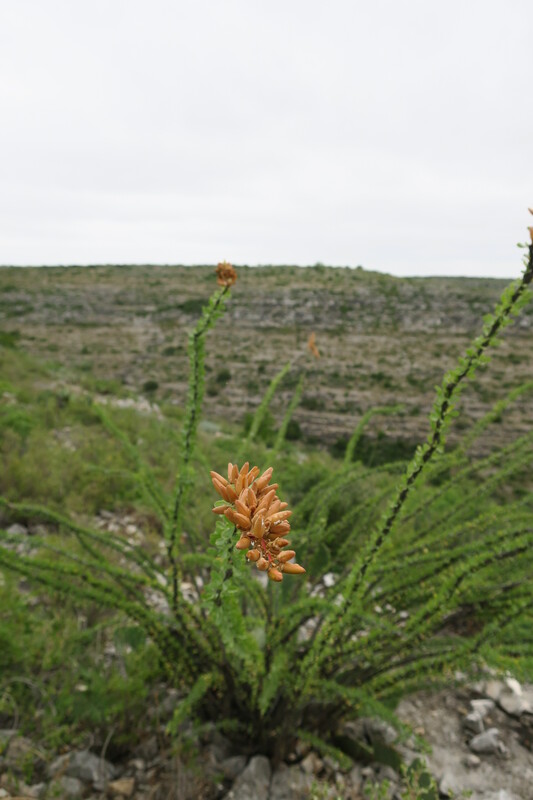 If the rainfall is good, the Ocotillo produces bright red or pink tube like flowers between March and June. And, hummingbirds like the honey nectar these flowers produce. 5. 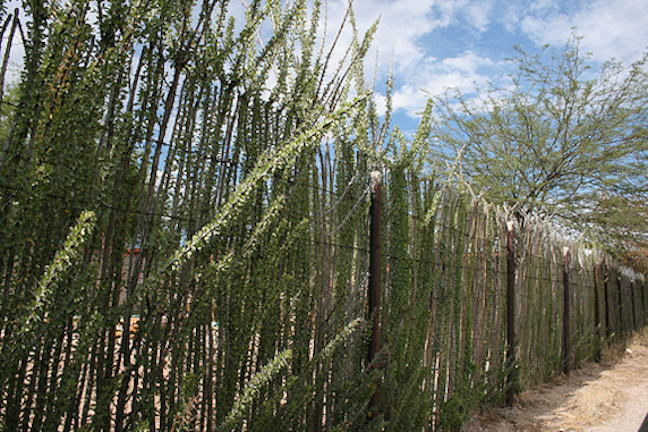 Ocotillo can be used to make a durable fence. Ocotillo fencing is a popular design element in the southwest. When planted in rows, the Ocotillo becomes a living fence. Its spines stop people and animals from passing through. Some nurseries even sell Ocotillo fencing panels that add a rustic component to a garden and can last for years. 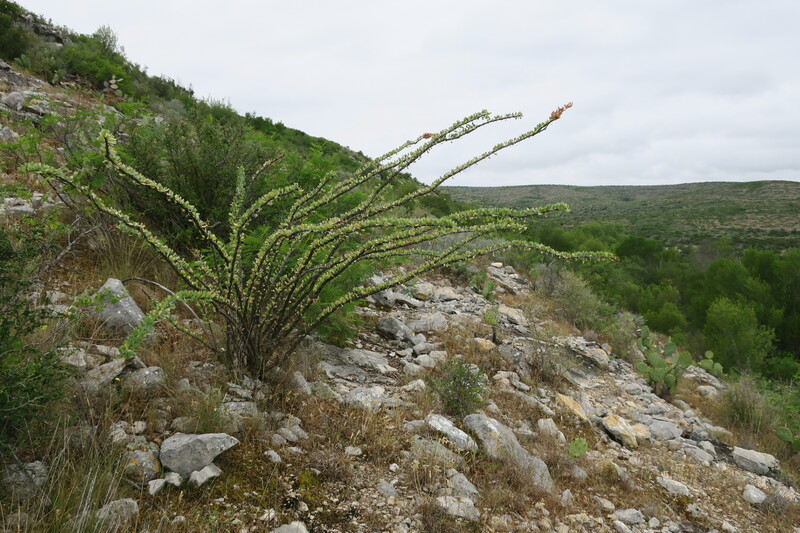 The next time you find yourself anywhere near the Chihuahuan Desert or Big Bend, keep your eyes open for the Ocotillo. This hardy shrub is truly a success story in the world of desert plants. This entry was posted in Flora and Fauna and tagged Desert Shrubs, Ocotillo. Bookmark the permalink.